R.C. Pro-Am plays very similar to early 1980's overhead racers like Super Sprint; the game is fast, has very simplified physics, and the courses have a large number of twists and turns. The difference from those titles, is that R.C. Pro-Am's game engine has much more drifting involved, as cars will glide and spin around corners. Also, only the portion of the track around the player's vehicle is displayed, as opposed to the whole entire track. The game is presented from an isometric viewpoint, giving an illusion of three dimensions. The controls are simple, with one button being used to accelerate, and the other used for either firing weapons or honking the horn. 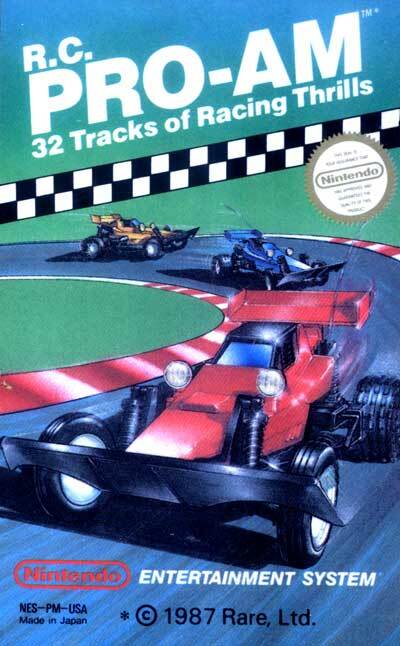 The sound is very minimal in the game, with title and game over music numbers, track and racing sound effects, and a short melody played right before each race.